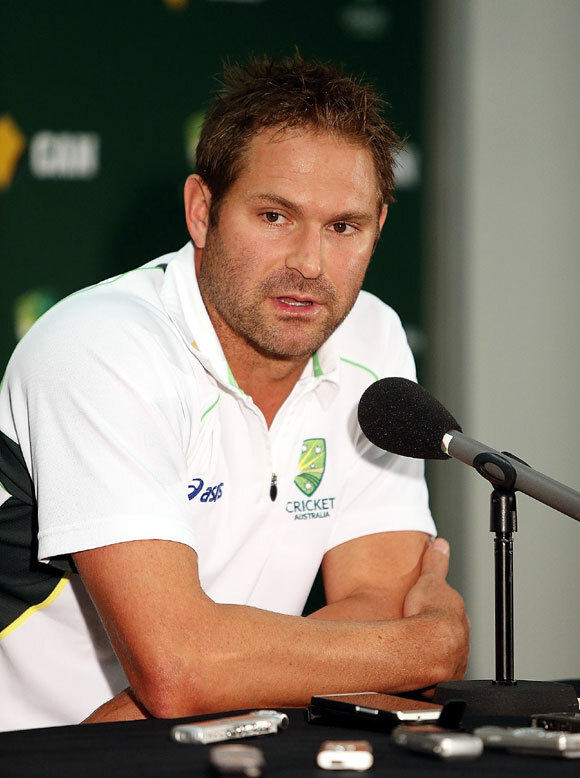 IMAGE: Former Australian pacer Ryan Harris. Photograph: Morne de Klerk/Getty Images. Former paceman Ryan Harris has taken a major step towards achieving his ambition of becoming Australia's permanent bowling coach after the 36-year-old was handed the role for the team's limited-overs tour of South Africa. Harris, who retired from all forms of cricket last year, played 27 Tests, 21 one-day internationals and three Twenty20s for Australia. He will join head coach Darren Lehmann and assistant coach David Saker on the tour starting on Sept. 27, where Australia will play a single one-dayer against Ireland and a five-match series against hosts South Africa. "It's great experience to learn from David Saker and Darren Lehmann, I'm really just going to sit back and watch and learn," said Harris, who took 113 wickets in Tests and a further 44 in the 50-over format. "Eventually, I'd like to work my way to the top and become a bowling coach of the Australian team one day. Just like playing, you have to earn your stripes and learn the ropes." Lehmann welcomed the appointment of Harris, who is currently the assistant coach of Australia's national performance squad. "I'm excited to have Ryan on board, a player and person of his calibre will no doubt offer strengths to our national side," Lehmann said in a statement. "It's a win-win having two experienced coaches in Ryan and David Saker being able to nurture our young group, particularly the up and coming bowlers joining, and we expect a positive response both on and off the field."